IDS can custom build a heated valve mount, heated material line, heated reservoir or heated syringe housing for your application. 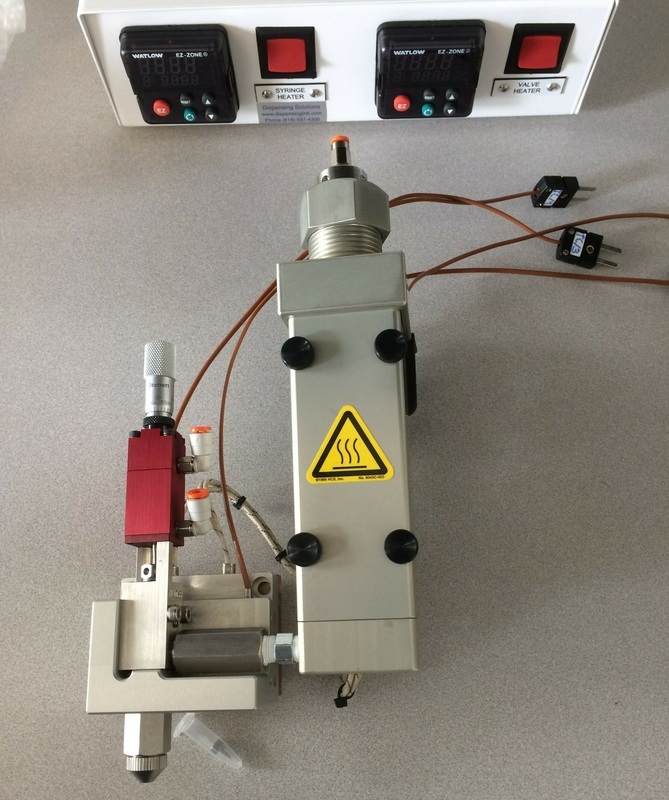 Common for use in applications to help material reach a viscosity where it can self level, but not every material can be heated to help in the dispense. You should contact an IDS representative to discuss your needs and receive a formal quote based on the material being dispensed and your application requirements. Make sure to discuss with the formulator of the material if they are aware of any issues heating it. 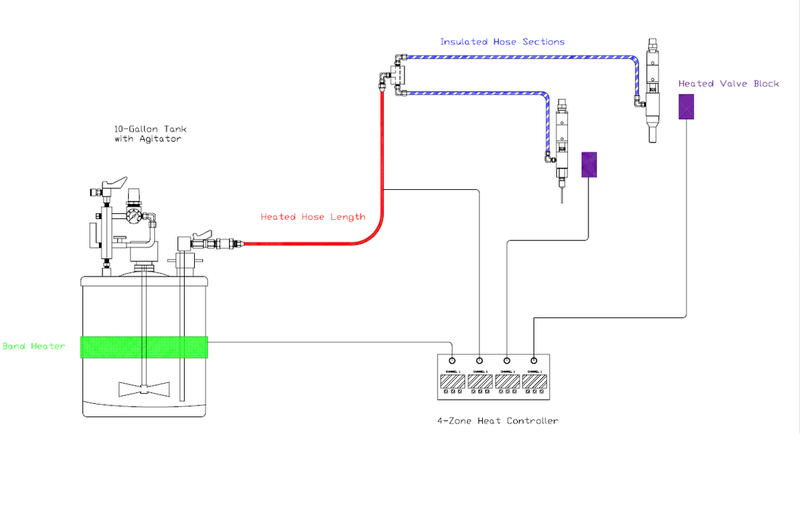 The custom built controller can be manually activated or controlled with a multipin IO input. Is a syringe size too small? We can heat and agitate the material in one of our large bulk reservoirs, material lines and valve itself to make sure that in a bulk application the material remains the optimum temperature and mix. All heated systems are considered custom builds and will require prepayment or a minimum 50% deposit and have a build time of around 4 weeks. Take a look at our Positive Displacement Metering Valves and our Front Closing Valves. These are the two most commonly used. Contact an IDS Representative today to discuss how quickly we can get this solution into your hands!